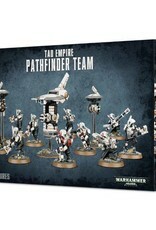 Light reconnaissance units, Pathfinder Teams are the eyes and ears of their Commander in a way no drone can yet emulate. A Pathfinder's foremost role is not to engage the enemy, but instead to operate ahead of their comrades, close to their foe, to accurately scout the enemy. 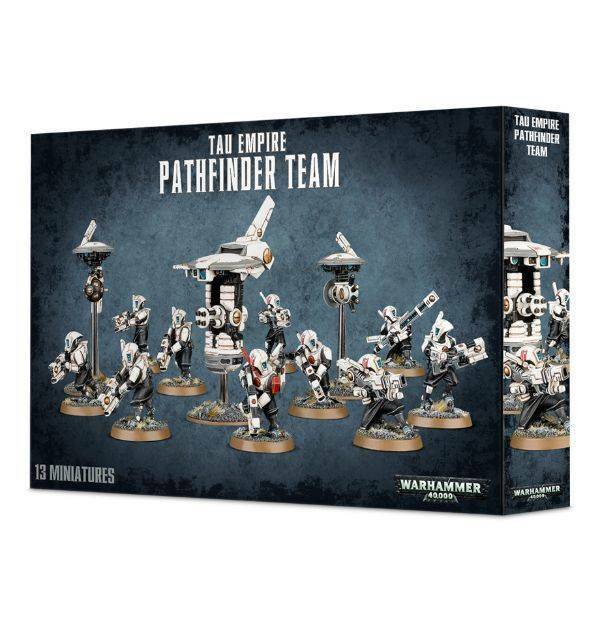 There are 10 Pathfinders in this kit, and they can be built in a variety of ways – there are different leg options, for kneeling, crouching or standing, as well as different head options. They sport lighter recon armour, which covers their torso, shoulders, knees and elbows, and they wear the similar long, elegant helmets to Fire Warriors. They can carry a selection of weapons including pulse carbines, rail rifle, and ion rifles. The kit includes an enormous Recon Drone, which can be mounted on a Devilfish tank (not included), and which comes armed with a burst cannon. The box set also features a Pulse Accelerator Drone, with a four-pronged device underneath the circular disc, and the Grav-inhibitor Drone that features an orb underneath. 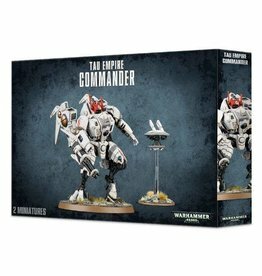 This multi-part plastic kit contains 137 components with which to make 10 T'au Pathfinders, a Pulse Accelerator Drone, a Grav-inhibitor Drone and a Recon Drone. 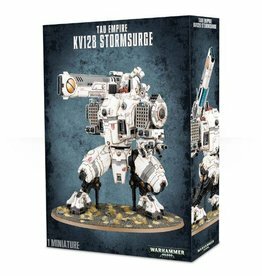 These kits comes supplied unpainted and require assembly - we recommend using Citadel Plastic Glue and Citadel Paints.